To give you a perspective of how big a deal that is. I have never pulled an all nighter for academic reasons (and I graduated 3rd in my class in high school) and I always got 9 - 10 hours of sleep all 4 years of college. I loved the new prologue. I can't remember how the original draft started, but I thought this was a powerful beginning. I also appreciated the author's ability to adapt it for a different audience (the original draft was for a writing group that expected certain elements; these expectations are not held by the general reading public though). I was a bit disappointed when a certain scene was not as detailed. While shocking, it was an emotional scene in its original form. I felt that it did not pack the same punch in the final version. The story did not end in the same place the original manuscript did and I have seen some chatter on Twitter that there is a sequel on the way. There is a particular part of the original story I did not particularly enjoy and I'm hoping that it will be tweaked. Though I can not remember the catalsyst that sent the plot in that direction, the ending of Sempre Forever gives me hope that the plot may go in a slightly different direction. My fingers are crossed. I don't want more heartbreak for this couple. 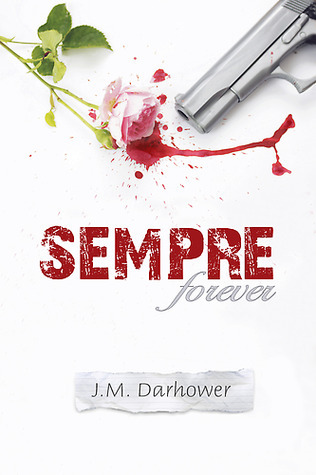 For fans of Heather Huffman, I recommend picking up a copy of Sempre Forever.